Characterized by infectious melodies and flawless harmonies, Los Lonely Boy’s music is music that touches the soul. 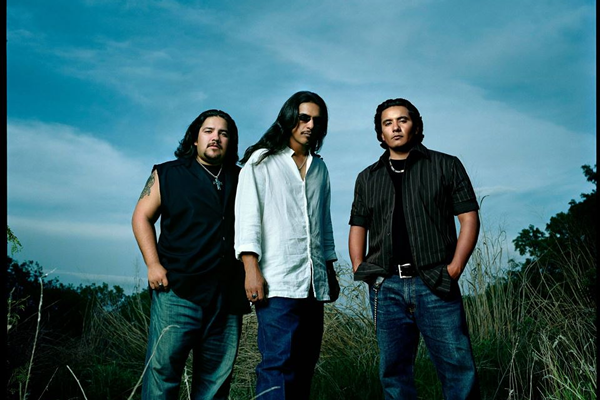 Los Lonely Boys, a sibling trio hailing from San Angelo, Texas, is celebrated for their unique blend of blues rock, Tex-Mex, Conjunto and Tejano music. Such a combination is shaped by the band's three brothers: guitarist/vocalist Henry Garza, bassist/vocalist JoJo Garza, and drummer/vocalist Ringo Garza, Jr.
A strong brotherly bond and deep-rooted connection to community has been the driving force behind this Grammy Award-winning band. The brothers began their music career backing their father, Ringo Garza Sr., who had previously been a member of another band of brothers that played Conjunto music around Texas in the ‘70s and ’80s. In the early 1990s the family relocated to Nashville, TN and gradually the sons emerged as a group separate from their father. After moving back to Texas and recording their self-titled debut album with music legend Willie Nelson in 2003, the band was picked up by major-label Epic Records in 2004 resulting in chart topping success. Propelled by the album’s No. 1 single, “Heaven”, it went on to sell over 2 million copies, spending 76 weeks on the Billboard Top 200 album chart and earned them a Grammy for Best Pop Performance by a Duo or Group. The band has since released four more studio albums and tours nearly constantly, which continues to connect them with their loyal fans and gaining new ones along the way.